In this initial, open workgroup meeting, we will define topics and initiatives for our joint cooperation building on the insights from the study. With industrial keynote presentations and discussion workshops, the meeting will address (1) Process and Manufacturing Technologies (e.g. Pultrusion, Resin Infusion Molding, Sandwich Technologies, Process Combinations), (2) Fire Safety Regulations (3) Materials (Thermoset, Thermoplastics, Hybrids) as well as (4) Standard, Norms and Certification. The agenda will be distributed in December. 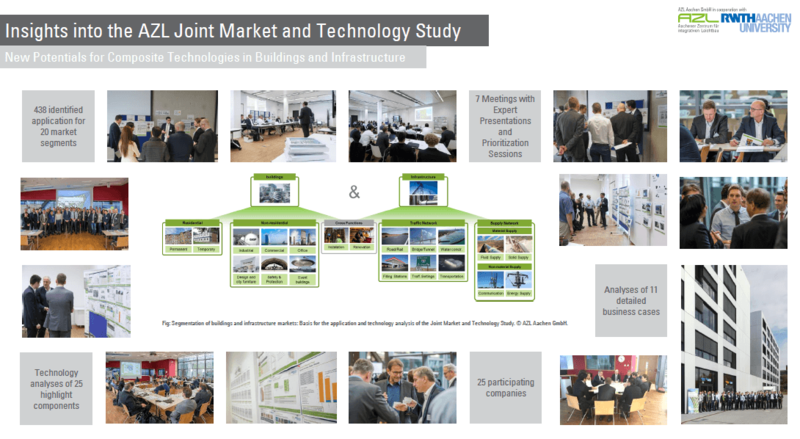 AZL together with more than 25 companies just completed the Joint Market and Technology Study on “New Potentials for Composite Technologies in Buildings and Infrastructure” establishing a broad knowledge on business opportunities for composite technologies in these two growing markets. With the workgroup, we will take this initiative a step further with the aim to build a long-term cooperation platform for composites in Buildings & Infrastructure. 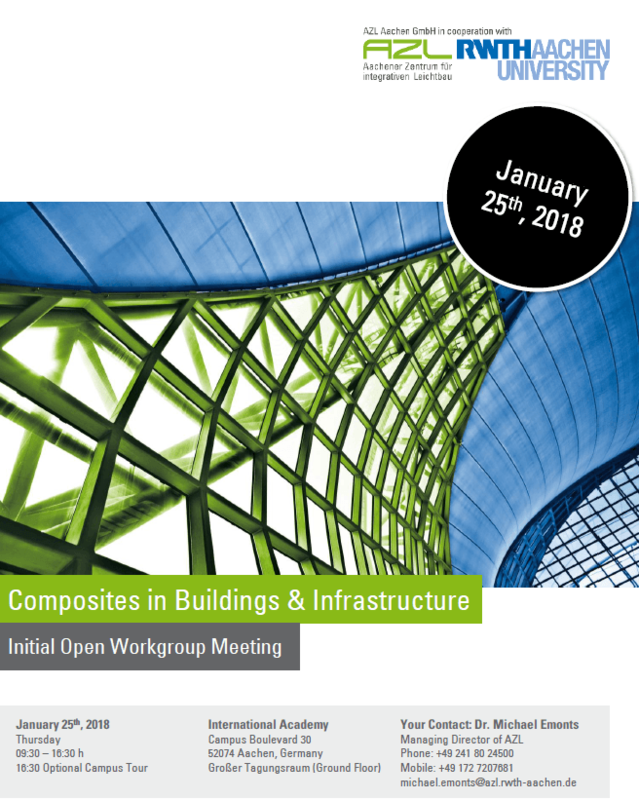 Learn on more AZL activities in the field of Composites in Buildings and Infrastructure here. AZL Partner Companies find further information about B&I Study in the Current Activities of the AZL Partner-Section. Due to the high number of participants please be aware that we verify your registration in a confirmation email. Please register below.